As a Maryland resident, you can obtain a multi-state permit to carry a firearm in over 30 states in two quick hours. Can you carry in Maryland with this permit? No. However, if Congress passes National Reciprocity you would be able to carry in all 50 states, just like your drivers license. 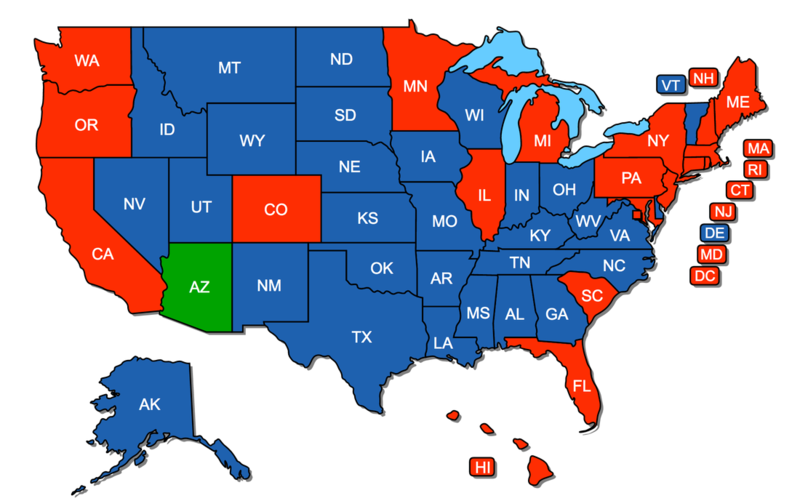 ​Carry in over 30 States! Spring Summer Schedule up soon. * If you wish to hold a private training in the interim, please call. With this permit you will be able to carry anywhere in the blue or green states. Including Delaware, Virginia and West Virginia and now a Pennsylvania option.